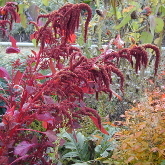 Once again, Garden Organic is urging growers to measure their successes. Weigh your fruit and veg as you pick them throughout the season, and record your triumphs. After a busy few weeks at Malvern and Chelsea Flower shows Chris is now able to relax a little. However not for long as it's back to allotment to tend to his overgrown allotment and the onslaught of bindweed and horsetail! 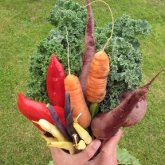 Why grow exotic vegetables? Perhaps it's the novelty. Not many growers in this country can put their own sweet potato or chickpeas on the table. Or perhaps you like the challenge? achocha and dudi can test your organic horticultural skills. The former makes a delicious lemony smoothie, and have you ever eaten a young dudi, stuffed with herbs and goats cheese? 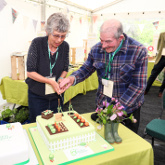 Our Diamond Jubilee is a wonderful opportunity to reflect on the past, present and future of Garden Organic. More than 150 people attended the Annual General Meeting and Members’ Day, which was rounded off with a celebration of our charity’s 60th anniversary. 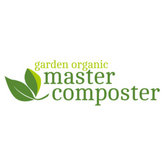 Master Composters are coming to Cambridgeshire! Garden Organic are thrilled to be launching its nationally recognised volunteer Master Composter programme in Cambridgeshire thanks to funding from Amey, Anglian Water and support from Cambridgeshire County Council. 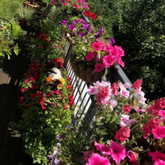 Protecting your personal information has always been very important to Garden Organic. 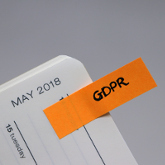 We know that lots of companies will be contacting you at this time about changes in data protection regulations that come into force on the 25th May. The General Data Protection Regulations (GDPR) are designed to give you more control over how your data is used. We have been working very hard behind the scenes at assessing and updating our data processes and practices to ensure that our high standards are upheld and we are fully compliant. On 22 May, the Council of the EU adopted new rules on organic production and the labelling of organic products. After years of discussion and clarification, the new rules aim to improve consumer confidence in organic products, as well as prevent fraud and unfair practices. A new pilot study has revealed the health effects of glyphosate on rats, even when dosed with the recommended safe limit per body weight. The great bee count takes place this month. From 18 May - 30 June, you can spot and record any bees you see, and send the results to Friends of the Earth. Go to https://friendsoftheearth.uk/bee-count to join the survey. They also offer an app that will help you identify and record different species. Thank you to all those who emailed Defra as part of the food and farming consultation, post Brexit. With your voices we managed to get the message across that omitting 'organic' from their proposals for the future of British farming was a serious oversight.